I’m starting off this month with a good overview of underwires and how to find your size- Let’s jump right in! To start off- let’s talk a little bit about underwires and why we use them. Underwires are designed to help distribute the weight of your breast into the band of your bra, giving you more support and lift. They also help to give more shaping to your breasts and keep them out of your armpits. A properly fitted underwire should help with support, lift, and shaping – but it should not pinch, poke, dig in or generally be uncomfortable. It is not wrong to want a more supportive or less supportive underwired bra- simply a matter of personal preference. Now that we’ve gone over what underwires are supposed to do- let’s talk about how to identify them. There are three main things to know about underwires: Size, Length, and Style. 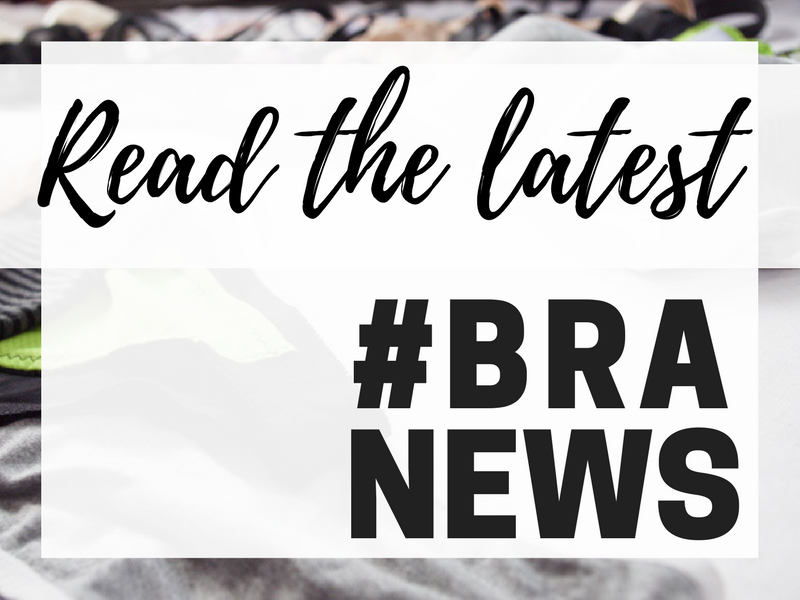 This post is going to cover more about the sizing of underwires, but I’ll have posts that cover all of the styles later! Underwire size is determined by a combination of your band and cup size. 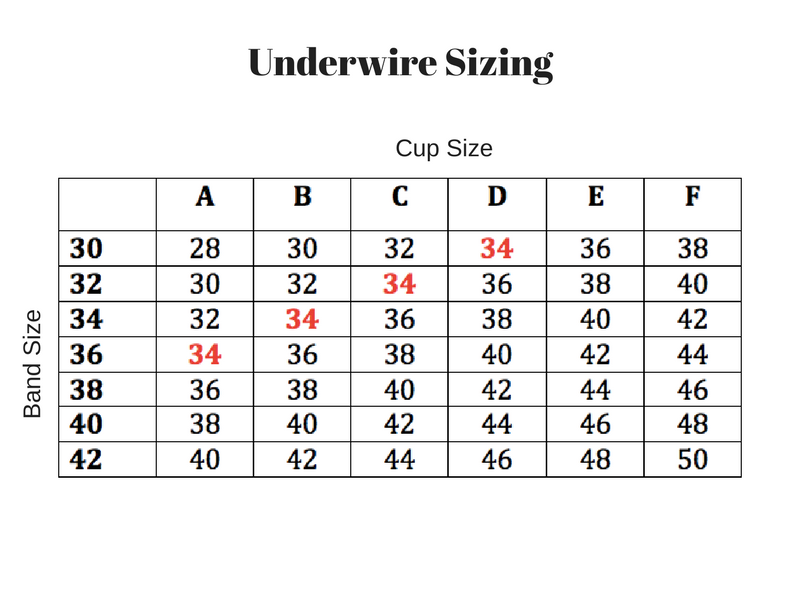 Underwire sizing works like bra cup sizing and uses sister sizes. This means that: as you go up or down in cup size you go up or down in wire size, and as you go up or down in band sizing you go up or down in wire size. As you can see from the chart there are lots of sizes that use the same underwires, they are all sister sizes. So for the example- a size 34B will use a size 34 underwire. But if you go down 1 in band size to a 32 and increase 1 cup size to a C then a 32C also uses a 34 wire. If you only go up in cup size- like a 34C, then you will increase in wire size to a size 36 wire. If you only go up in band size- like a 36B, then you will increase in wire size to a size 36. Also- a handy thing to know- underwire sizes are based on a B cup size. So any B cup will have an underwire that corresponds to its band size. A 34B will be a 34 underwire, a 40B will be a 40 underwire. All other cup sizes will increase and decrease wire sizes accordingly. This can be a little confusing to wrap your mind around, it’s usually easiest to look at a chart like this. If you’re a whiz at this stuff you can figure out your underwire size by counting how many cup sizes you are up or down from a B cup, then adding or subtracting that many sizes to your band size. For example – if you are a 32D, you would count up two cup sizes from a b cup- then you take your band 32, increase it by two sizes- and boom- 36 is your underwire size. So now that you know about how underwire sizing works- how do you figure out which one is right for you? I recommend picking a bra pattern and using their system to measure yourself for a bra. Depending on what pattern you pick, you might end up with different results. Generally I find there are two main ways to measure bra sizing: American or European/UK sizing. Take me for example- my ribcage measures 30″, and my full bust measures 37″. In UK sizing I would be a 30F, which would be a size 40 underwire. Neither of these systems are wrong, and some systems will work better of certain bodies. Generally speaking I find people with smaller cup sizes and more athletic body types work well with the American measuring system, where people with larger cups work better with the UK system. It’s really about your preferences with how you like your bras to fit you. The size that I actually prefer to wear – is a size 38 underwire, right in the middle. I find that a 36 wire will fit with a tight band, but the cups are a little too small in the C. So when I go up to the 38 with a D cup, everything fits nicely and I can have a slightly more relaxed band which is my preference. Remember that picking a pattern and finding your bra and underwire size is just a starting point. Most people like to make a few tweaks to their bra pattern to get it to fit their body the way they like, and one of those tweaks might be the size of your underwire. I recommend that you use your bra size as a starting point to make the best guess possible with your underwire, then get an Underwire Fitting Pack, with three consecutive sizes to really test the wires to fit your body. Remember- The underwire does not have to fit your bra size- it has to fit YOU. This is the probably the most important thing about underwires- it is completely irrelevant what size of underwire is ‘supposed’ to go in your bra size- if the underwire does not fit your body, it is the wrong wire, and it will not be as comfortable. Now you have your underwires and you need to fit them on your body. It is best to get help with this step if you can, but if not just do what you can. Notice the inframamory crease- the boundary where breast tissue stops and chest wall begins- this crease is where you want your wire to fit snuggly. Depending on the size of your breast you may have to lift your breast to see this crease properly. You want your underwire to fit right into this crease- so you’ll hold your wire against your body, slide it right up to this crease, and see if it fits nicely into that space. If it’s too small it will be sitting on your breast tissue- it will either cut in at the centre front, or at the side of your breast. If it’s too large then it will be sitting outside of the crease on your chest wall- it might be sitting outside the side of your breast tissue, or it might have a gap at the bottom of your breast. The next test is to lower your arm, while holding the wire in place. The wire will fit a little more snug with your arm down – and this is good, it will account for some of the splay that you need in your wire- there should be a bit of tension. But it shouldn’t be poking up into your underarm or arm- if that is the case than your wire might still be too big, or it might just be too long. Make sure that you move your arm around a bit to be sure the wire isn’t going to be too high at the outside and poke you. If your wire is too small than you might find it pinches you- now you do have to account for the tension that will be on the wire once it’s in you band (which will cause it to open more), but generally your wire shouldn’t be pinching you. So I mentioned this briefly- but what about wire splay / wire spring? This is the difference between your wire when it is laying flat on the table, and when it is in a bra band on your body. When an underwire is in a bra band around your body, there will be tension pulling on your wire that will cause it to splay or spring. This is at the outside arm of your underwire, and helps with the lift and support. How much should my underwire splay? – that is a good question, and the answer is – it depends. It will depend on: the style of underwire you are using, the size of your bra and underwires and how tight you like to wear your bra band. With styles of underwires- you will have more splay on wires that have tall sides and less on wires that are shallow. For example my Bliss wire which is a very ‘U’ shaped wire- you can imagine if you pull horizontally on the tips of that wire- it’s going to give way and splay. Alternatively my France wire– which is a very shallow U shape, if you pull on the arms of that wire, it’s not going to move very much because it’s already very splayed. With size of underwire- the larger the size the more splay you can expect. This is because there is more room to splay with a larger area, and generally there is a heavier weight of breast tissue on these wires, which will pull and splay more. With band tightness – the tighter your band, the more your wires will splay. This seems like a fairly straight forward one, since this is the horizontal force around your body that is pulling on your wires and making them splay. You can manipulate the amount of splay you like in your wire by making the back band tighter or looser on a pattern, and using different wires. For example- I am right on the borderline of a size 36 and a size 38 underwire. 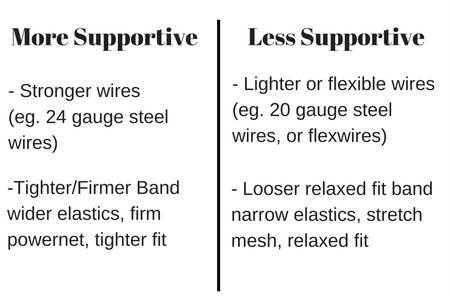 If I wanted to have a tighter band, and a wire with more spring (which would give a bit more support), then I would choose the 36 wire and a bra band that is tighter and firmer. However, I don’t need TONS of support, and I like a more relaxed fit band, so I like to wear a size 38 wire that doesn’t have as much splay. I wanted to include this section because I think people get a little bit hung up on all of the rules of bra making and the expectations of fit that are out there. The best fitting bra is the one that you love and is comfortable to you! It doesn’t matter if your underwire size matches your bra size, it doesn’t matter if you like a tighter and splayed wire or a looser and relaxed fit wire. It is whatever is comfortable on your body and works for you. There are pros and cons to both, and certain people and body types that work best with different types of bra fit. Nothing is wrong, there are no rules, it only matters what you prefer. Once you know all of these ‘rules’ you can know how to bend them to your preferences- and that is all that matters! 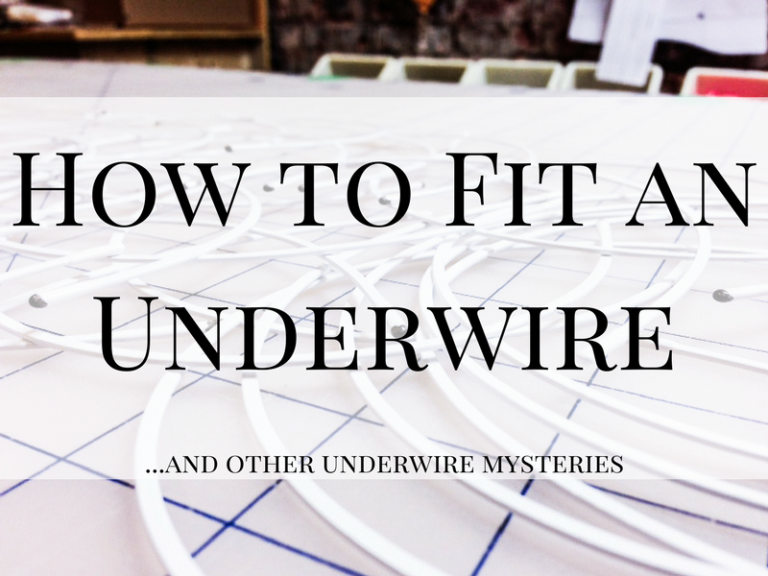 The next post that I am planning is all about the different styles of underwires– which can help even more with finding the perfect underwire for you! How to fit YOUR size underwire into your bra pattern (even if it’s not the wire that is supposed to fit). Let me know if there are any other topics that you would like posts on!! And keep sending me your underwire questions! Thank you for this article. 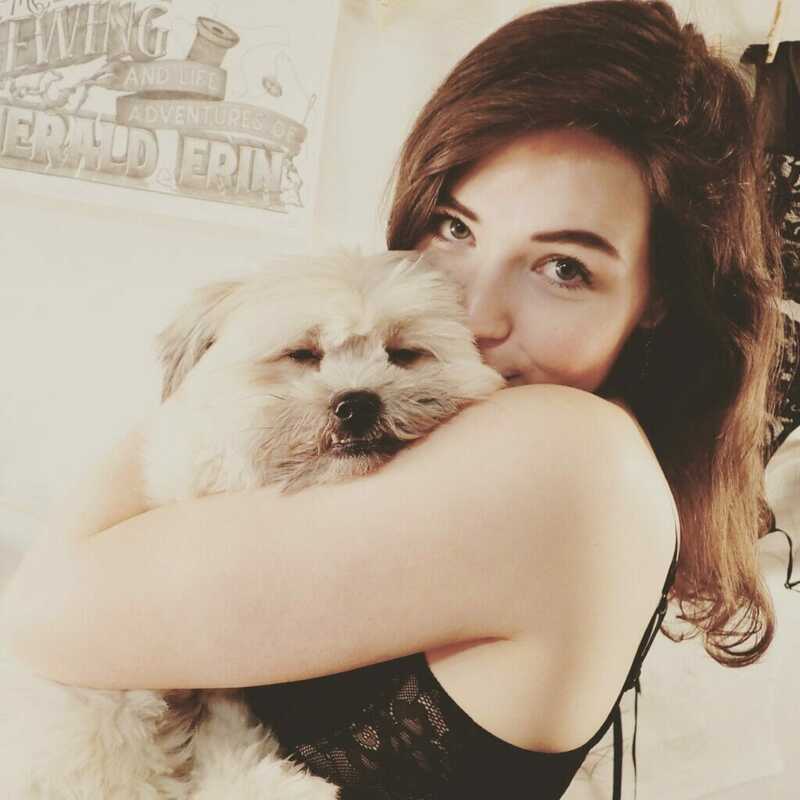 Recently, I had a breast augmentation and it’s been an adventure trying to figure out what size bra I wear! This explanation has given me some ammunition to fine tune the way everything fits. Yay!! I’m so happy to hear that! I think especially women who have had either augmentation or reduction find that they need a different underwire than bra size indicates! Hi Erin.This is off topic but ive been trying to sign up for your news letter with no luck.Im supposed to select at least one list but im not quite sure what that means. 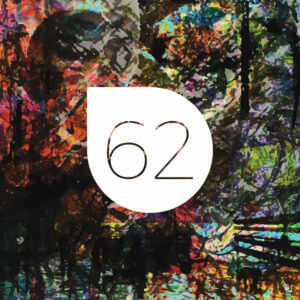 If you are able to answer one question, you will greatly be aiding a 67 senior citizen. I wear a 42DD bra (and my brand has been discontinued, but I have several of these bras) and I want to have the underwires replaced. Can you tell me exactly what size I should order, so I can take everything to a tailor. I do want the best and stronger underwires. I have some vision challenges, so all the reading to try and figure this out has been difficult…..and then I found you! I thank you for your time to read my request. For a 42DD, I would recommend a size 48 underwire. This is so great! Great article! Thank you for clarifying so many things I’ve been thinking of. Thank you for sharing!!! Thanks Jackie! Happy to help! Great post! I am technical design in the apparel industry and have worked on intimates and/or sports bras for the last 10 years or so. I really like how well you explained the difference between American and UK sizing, and without judgement. There isn’t a right or wrong, just different. It’s so hard to fit for multiple body types and shapes in one system of sizing! And measurements definitely don’t tell the whole story either. You’re so right, it’s all about what fits and is comfortable on each person. And note that the people doing the fitting at apparel companies can’t take into account the customer’s wearing preference! That is my biggest challenge working on sports bras for a large manufacturer. Thanks Monica! It’s so true about the sizing system, and like what you mentioned- the biggest variety is in fit expectations and preferences! The more women I fit, the more variety there seems to be! Great article! I’d love to see a more expansive list of the American vs UK bra sizing (higher cup sizes – at least up to an I cup). You just might get to make a bra with these tutorials! Things are now starting to make sense! Thank you! YAY!!! I’m spreading my addiction to bra making!!! Thank you Erin, for this excellent post about wire fitting and wire splay. I look forward to your next posts :-). Thanks Barbara! 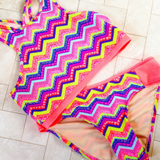 Lots more underwire posts to come!! This is the most comprehensive information on wire sizing I have read. I look forward to you next posts. Thanks Dale 🙂 I’m so happy it’s clearing things up for so many people! I know how confusing it can be when you start into bra making, but I always aim to make it a little clearer so you can get to the fun stuff as soon as possible! Getting the right size and type of underwires was my biggest obstacle to figuring out how to make a wearable bra. Non-wired bras don’t work for me now that I’m older and need support, but I’ve always found RTW underwire bras to be too painful to wear. Going by my measurements, I have average sized breasts, but they are wide and almost meet in the center. I finally figured out I need a flexible wire six sizes larger than the size indicated by my measurements. I have to shorten the wires quite a bit, but if I use a smaller size wire, it cuts into my breast tissue. No wonder I can’t buy bras! I think it took me so long to find the right size because I kept getting hung up on the size charts. I just wanted to emphasize what you mentioned, that the charts are only a starting place, and depending on breast shape, you might need a very different size.